Home / Criminal Justice / What Type of Criminal Justice Internships are Available? An internship is an excellent way to gain work experience, and can also allow you to better determine which career field best suits you. There are a number of different criminal justice internships available-here are a few you may want to consider pursuing. 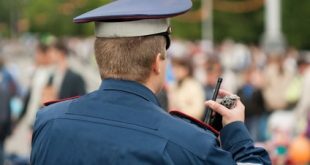 An internship with a local law enforcement agency will allow you to basically shadow a police officer, in addition to performing certain administrative functions. You may go on ride-alongs, help with investigations, and assist with writing and filing reports. As an intern, you may not make arrests, and are also prohibited from carrying a firearm. You can however assist during a call by directing traffic, administering first aid, or helping to keep people calm. The National Criminal Justice Association (NCJA) has semester-long internships available for undergraduate students. During one of these internships, you may perform research, analyze reports, attend Congressional hearings, and write articles for their newsletter. To apply, mail your resume, current transcript and a few writing samples to the agency’s Washington, D.C. headquarters. You may also go along with a probation or parole officer while making home visits, but will not be authorized to conduct them on your own. Even so, you could be called on to testify in court about any wrongdoing you observe during a home visit. 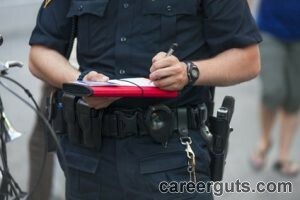 If your goal is to become a police detective, an internship with a private investigator can be very beneficial. Some of the things you could become proficient at are performing surveillance, interviewing people and completing background checks. Keep in mind that much of the work a private investigator performs is confidential in nature, so the scope of your job duties may sometimes be very limited. The law also restricts certain activities to only licensed private investigators, so the nature of your work can also vary based upon where you live. District attorneys also need assistance in preparing for trials. As an intern, you could help prosecutors with filing motions, interviewing witnesses, gathering evidence and performing legal research. You may also assist with crafting plea bargains and drafting correspondence to defense attorneys. One of these internships is ideal if you would like to become an attorney or paralegal. “Read” the jury to get a better idea about what different members are thinking (both during the selection process and the actual court proceedings). These are just a few of the criminal justice internships that are available. You can also find them by visiting different state and federal law enforcement agencies such as the Department of Homeland Security or the Bureau of Alcohol, Tobacco and Firearms. To find out more, contact us.